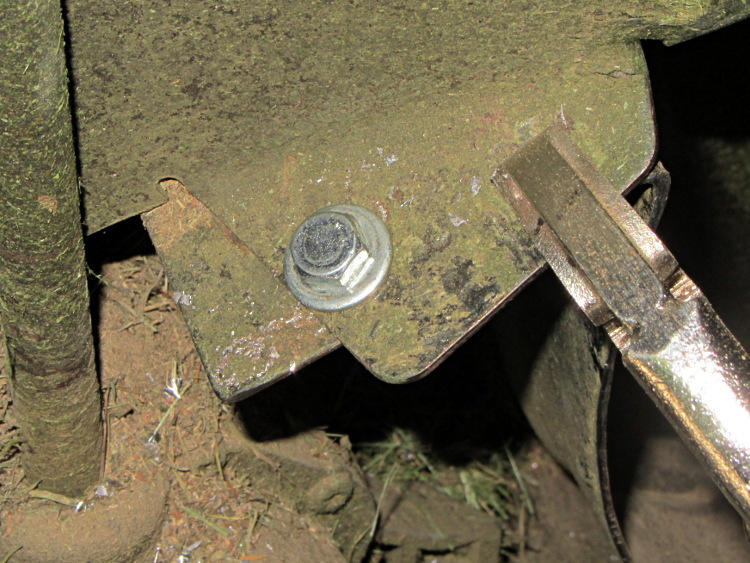 The lawn mower began emitting horrible crashes, which turned out to be coming from a flange at the rear of the mower housing that was formerly spot-welded to the main chassis. Those welds broke and the flange occasionally vibrated into contact with the blade, causing heartache and confusion for both parties. The curved section of the flange faces the blade, with the vertical end pointed anti-spinward: the blade nicks that edge. This entry was posted on 2013-07-13, 07:20 and is filed under Home Ec, Machine Shop. You can follow any responses to this entry through RSS 2.0. Both comments and pings are currently closed. The pull starter on my mower had the return spring fail. 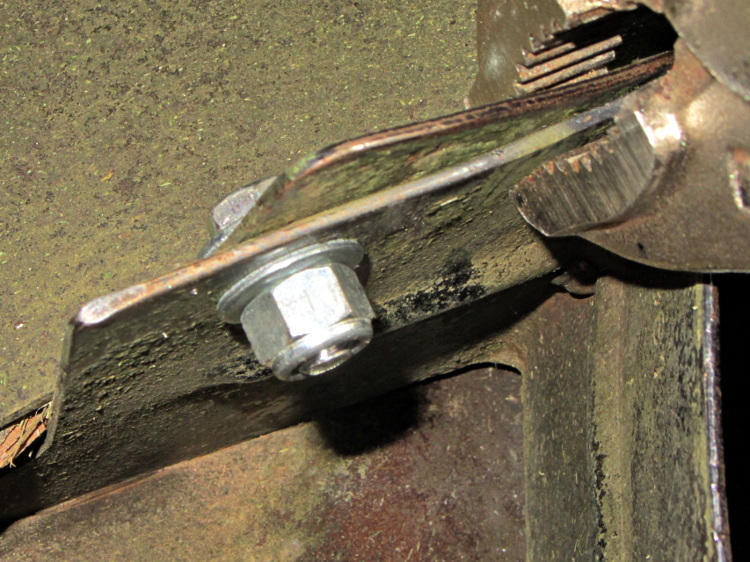 I dug down that far to find they’d pop-riveted the whole pull starter assembly on. Downside: irritating to disassemble. Upside: will probably never come apart. Like those “lubricated for life” bearings that have just enough lube for the intended lifetime: when the lube runs out, the lifetime is over! I riveted this back together because there’s very little room between the cooling fins on the top of the flywheel and the place the bolt heads would have to go and the thought of one coming loose gave me the heebie jeebies. And thirty seconds later I dropped the screw that attaches the plastic doodad with the manufacturer swoosh onto the top, right into those same cooling blades, where it was totally unrecoverable… without drilling out the rivets again. Good thing you don’t have house plants in the shop; would have wilted the poor things before starting to drill out the rivets.